Original 1974 UK Island Records pressing, just picked it up on Discogs for £20, in almost-perfect condition. Fantastic sound quality. John Scofield A Go Go with Medeski Martin and Wood. Finally on vinyl but at a price. 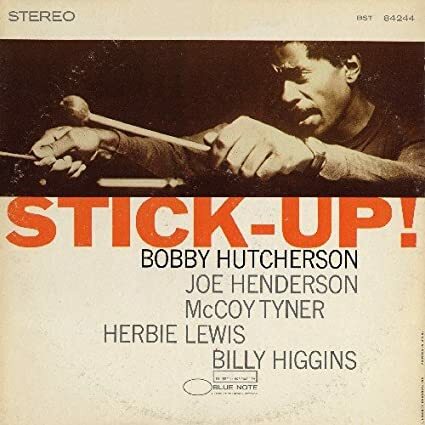 I just saw a copy of this Bobby Hutcherson vinyl LP (new), listed on Amazon for $255.99, and felt it was good time to have a listen to my copy. Bobby Hutcherson is one of many "late" SF Bay area musician residents who's musical presence and person is missed very much. [quote="Dorian"]Tool Lateralus (yes I’ve posted this before). Just washed on the new Pro-jet RCM and sounds better than ever (even for a picture disc)! It seems my quote of Dorian's post didn't work well! It was VERY difficult to find the appropriate Miles Davis LP to celebrate his birth date, and this is the one I finally chose. The last collaboration of Miles and an orchestra arranged and conducted by Gil Evans. A Mobile Fidelity's Special Limited Edition Original Master Recording. Maybe they will print and release more in the future, because this is an outstanding recording! The last paragraph of the albums cover notes is as follows. Great album brought to life by VPI Classic 3SE. I’ve been listening to an LP12 lately. The Classic 3SE is a refreshing change. Somebody please put this on vinyl. Did a short Music and Merlot session this evening; only one LP, but a good one!